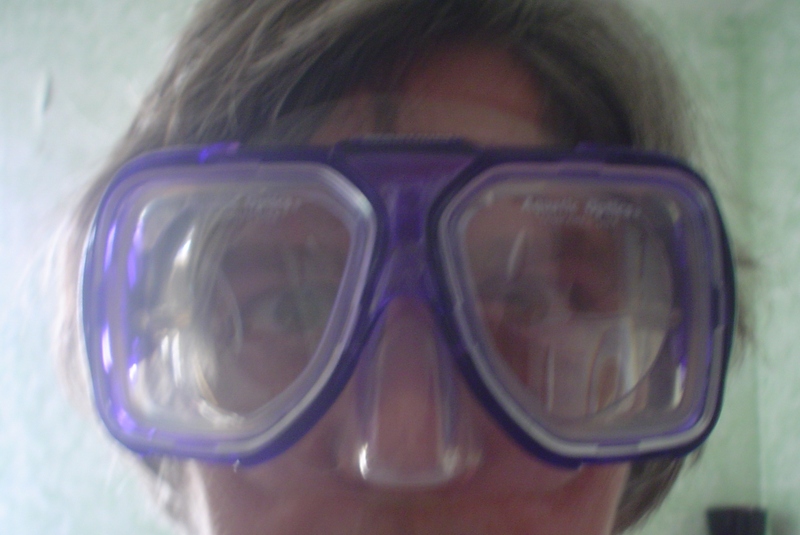 ……………….. Self Portrait in Dive Mask …………..
Now I know what the fishes see! I hope you’re making progress on your March writing challenge. How are you doing at getting the “bits and pieces” organized?